Would you like to add value to the super influential people in your niche or industry? 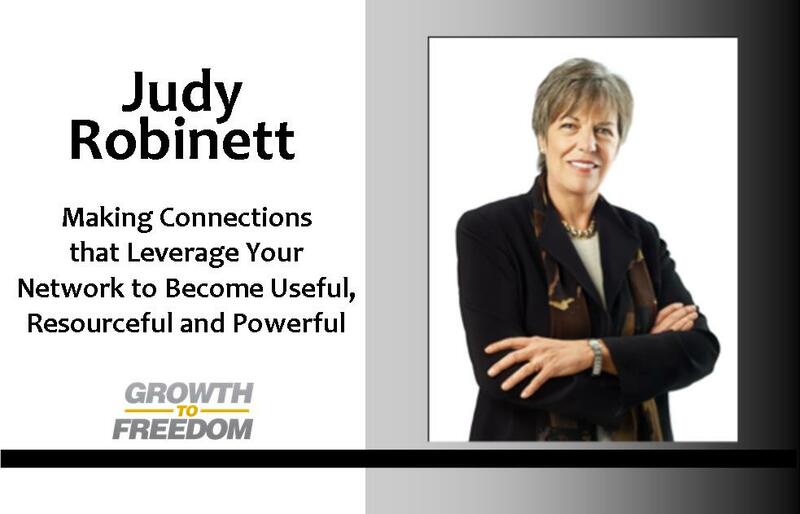 Judy Robinett says that’s the best way you can gain their ear and get on their radar so that you can begin building valuable relationships with those people. The good news is that anyone can add value to influencers because even they have needs. The key is to learn about them, ask them questions, and find out what they need – and more importantly, how you can meet that need. It’s a surefire way to get noticed by influencers and become an asset they won’t soon forget. These are just some of the things Judy shares on this episode of Growth to Freedom. You’ll learn how to spot and avoid “bad actors,” why you SHOULD talk to strangers, what it means to be memorable, and more.